A person with chronic kidney disease may be able to live a relatively normal life with some adjustments to things like diet and exercise. However, if someone with chronic kidney disease experiences excess fluid swelling or unusual levels of waste in their blood, they will likely need to begin kidney replacement therapy. When someone’s kidney fails, they need a kidney transplant, or to go on dialysis to keep their body working. In 2014, close to 23,000 Australians were receiving dialysis or living with a kidney transplant to treat their kidney failure. Due to the high demand for kidney transplants, Donna Smith, a registered nurse from Epworth HealthCare, says that many people will need to go to on dialysis for some time before they are eligible for a kidney transplant. There are two types of dialysis – Peritoneal dialysis and Haemodialysis. Deciding which type of dialysis to begin may be influenced by factors like lifestyle, personal preference, health and medical suitability. The choice between these two types of dialysis will be discussed by a patient and their doctor. A patient having peritoneal dialysis will need a surgical operation to insert a tube called a catheter into their peritoneal cavity. This catheter is connected to a bag containing special fluid that is used to drain waste from the body. Peritoneal dialysis is always done at home. Haemodialysis can be done at home or in a hospital. With this type of dialysis, a patient’s blood is pumped into a machine that cleans the blood of waste and excess water, then pumps blood back into their body. This process takes four to five hours and is not painful. In-hospital haemodialysis is done three times per week, in morning, afternoon or nightly sessions. Donna Smith says that these sessions allow patients to have flexibility in their treatment, so that they can still maintain their daily routine. Epworth offers new, state of the art dialysis equipment, free Wi-Fi, individual patient information and entertainment consoles. 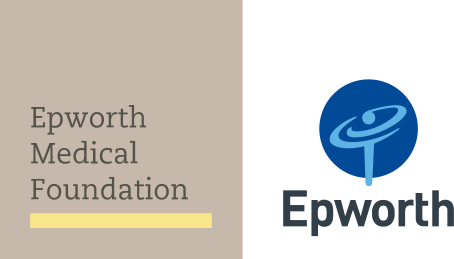 At Epworth Eastern, patients also have access to free transportation to and from appointments thanks to the support of Epworth Medical Foundation.